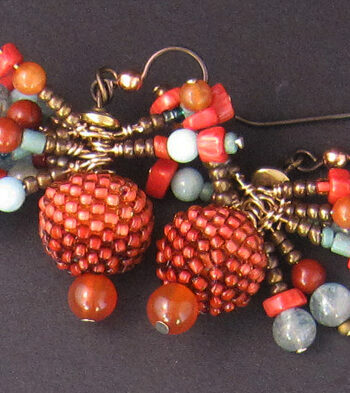 Whimsical jewel toned tubes mixed with organic stones and beads. Tiny glass seed beads, Vintage European, from Czech Republic and Japan- hand woven, bead by bead with a needle and fishing line. Brilliantly colored tubes of leafy green, teal, plum and navy hanging from a silver jump ring. 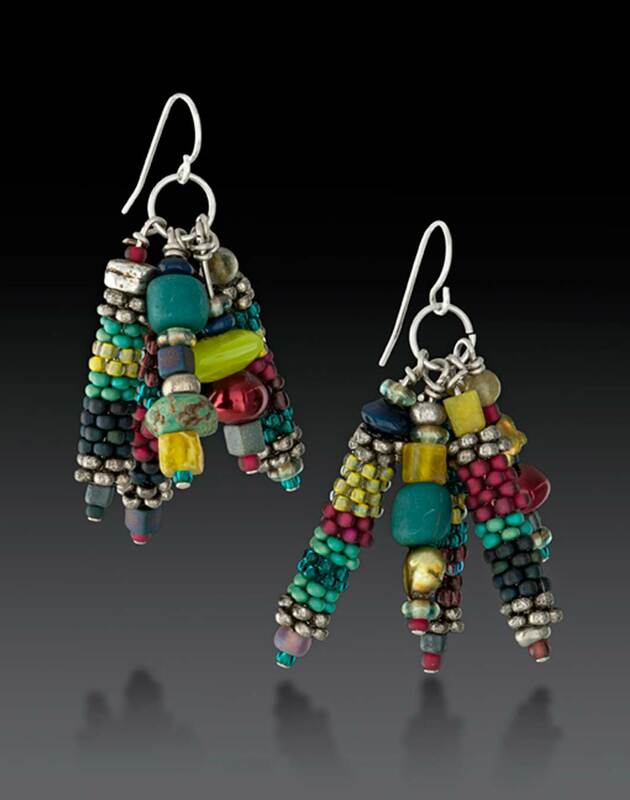 Accents of turquoise stones, olive jade, fire polished glass, garnet, freshwater pearls and other assorted stones. Sterling silver ear hooks. 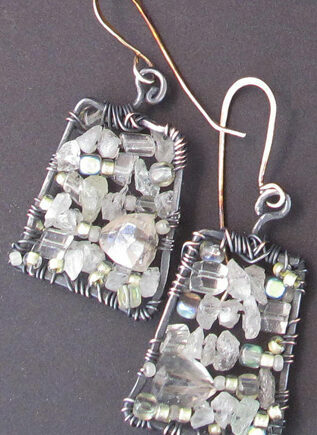 1.5″ below ear hooks. Each piece is made entirely by hand and takes many hours. The wait for your piece is 1-2 weeks. Please contact me if you have questions.